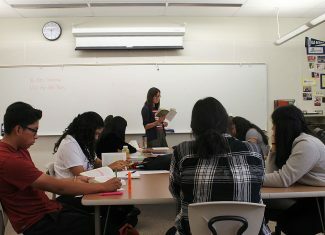 Anna Williams, an English teacher at Park City High School, teaches students about reading skills that will help prepare them for Advanced Placement Language next school year. The summer program Dream Big is for first-generation students who are interested in taking AP classes. Advanced Placement courses and exams can be hard to pass, even more so when you are taking it in your second language. Melanie Moffat, an English language learner teacher at Park City High School, saw the number of Latino students not taking AP classes and decided to do something about it. Last year, she created the Dream Big program. Dream Big, which takes place from mid-July to mid-August, prepares first-generation college students for AP classes by pre-teaching concepts from the AP classes and tests, said Anna Williams, an English teacher at the high school who helps teach a prep class for AP Language. After a successful pilot last summer that attracted 22 high school students, the program has more than doubled to include 50 students this year. Moffat started Dream Big as a way to attract a more diverse group of students to the AP classes. She secured a grant from Utah State University to help pay for teacher salaries over the summer. 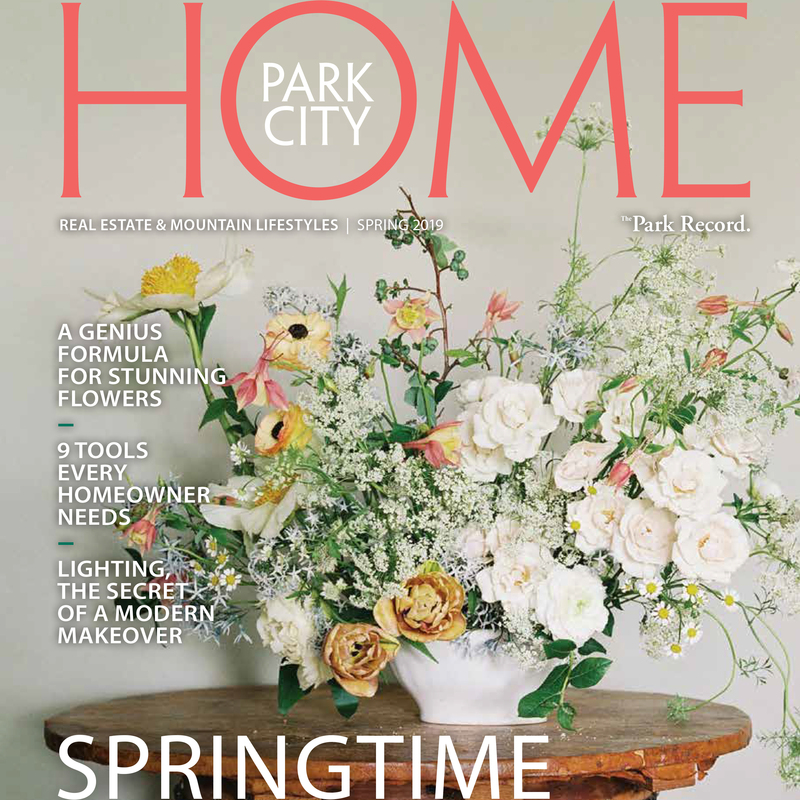 The Park City Education Foundation also helps fund it. "At Park City High School, we really pride ourselves at pushing non-traditional students into honor and AP classes, but we recognize that they need more exposure to the academic language demands of an AP or an honors class," Williams said. The classes being taught this summer are AP U.S. History, AP Environmental Science and AP Language. Most of the teachers who lead the courses during the school year are teaching the summer program as well. Williams said that because of this, the program can "foster a more unique and authentic individualized relationship between the actual teacher and the student." Miguel Morales, an incoming senior at Park City High School, was involved with the program last year to prepare for the AP U.S. History and AP Chemistry classes. He ultimately passed both tests, and said that the relationship he established with his teachers over the summer was part of that success. He was comfortable to ask for help or clarification. He originally was hesitant about the program, but Moffat told him that it would benefit him if he joined. She handed him an AP book and told Morales to read it and tell her what he understood. "I read it and I had no idea what it was saying because it was using academic words that I've never heard before," he said. He realized then that she was right and he signed up. English is Morales' second language. He speaks mostly Spanish when he is home. So, he said, there are times when he feels like his English language skills are not as good as his peers. He took his first AP class when he was a sophomore, and he said that he could feel the achievement gap between him and his peers. He was struggling to keep up with the workload and the reading. "After taking Dream Big, I entered (the classroom) and was like, 'OK, I can do this. I'm prepared,'" he said. "If I wouldn't have done the program, I would have struggled during AP U.S. History." He is in the program again this year to prepare for AP Environmental Science. Laisa Pena, an incoming senior, is eager to see what she can gain from the program this year. She took AP Language last year without taking advantage of the program, and she said that she was missing some of the necessary knowledge to succeed in the course. She also speaks Spanish at home, which she said can be a disadvantage at times. Plus, she added, her parents are not able to help with her schoolwork because they did not go to college or take higher-level courses. Pena plans on taking AP Psychology, AP Statistics and AP Environmental Science next school year. She is a little nervous, but also confident that she will be able to excel because she has the support she needs. "I have the teachers here to help me," she said. "We are really grateful to the teachers who take time out of their summers to come be with us and help us." The only fee for students to participate in the program is $20, which goes toward a trip to Utah State University. There, they meet with professors, visit science labs and spend time in the dormitories. "For some kids, this is their very first time on a college campus," Williams said. "We are just setting them up for success in high school and beyond in this program." Morales said that he enjoyed the trip last year because he received information about scholarships and courses. While specific data was not available, Williams said that even after its first year, Dream Big has proved to be fruitful. Several of the students who finished the program passed their AP tests they took in the spring. She hopes that the program can continue, and perhaps even expand to other districts or states. "It's a wonderful opportunity for our first-gen students to have a place at the table," Williams said.